Clariant, global provider of specialty chemicals, has announced an agreement with Xuzhou HaiDing Chemical Technology Co. Ltd. to develop a custom-built CATOFIN catalyst and propane dehydrogenation (PDH) unit in cooperation with its technology partner CB&I. The project includes the license and engineering design of the unit, which is to be built in Pizhou, Jiangsu Province, China. The Xuzhou HaiDing plant is designed to produce 600 kilotonnes per year (KTA) of propylene and will be based on Clariant’s CATOFIN catalytic dehydrogenation technology, which employs the company’s CATOFIN catalyst and Heat Generating Material (HGM). CATOFIN is a proven, highly reliable dehydrogenation catalyst used for the production of olefins, such as propylene or isobutylene, from light paraffin feedstocks. 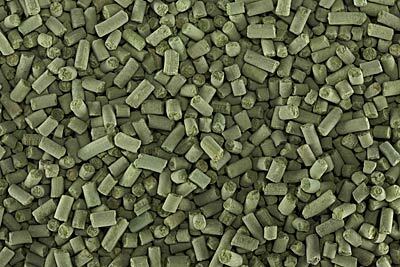 HGM is a patented metal-oxide material loaded with the catalyst that increases the selectivity and yield of CATOFIN units. To maximise the yield of propane to propylene, the process operates at thermodynamically advantaged reactor pressure and temperature and utilises a highly selective catalyst. CATOFIN’s optimised conditions deliver the highest conversion and selectivity among the technologies proven in the market today. “Clariant has always led the way in developing ground-breaking catalyst technologies so we are honoured to be part of this important project for Xuzhou HaiDing Chemical Technology in China,” says Stefan Heuser, Senior Vice President & General Manager Business Unit Catalysts at Clariant. Globally, nine CATOFIN propane dehydrogenation units have been successfully commissioned and continue to reliably produce more than 4,500 KTA of propylene. Typically operating above 110% of designed capacity with near 98% on-stream time, CATOFIN delivers highly attractive return on investment for its users. Tags: Clariant, Xuzhou HaiDing Chemical Technology Co. Ltd.